I realise I’m probably about to shatter the perception that Australians see kangaroos all the time and even ride them on the commute to school/work, but LOOK! 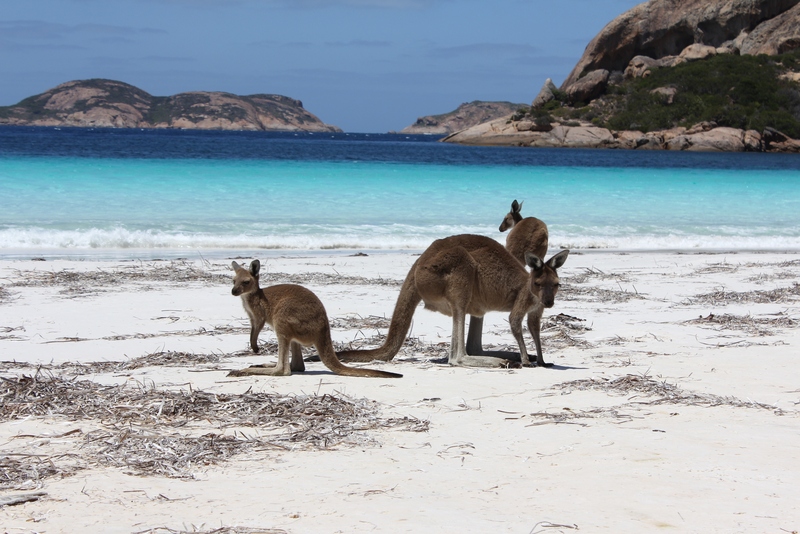 Kangaroos on the beach!! 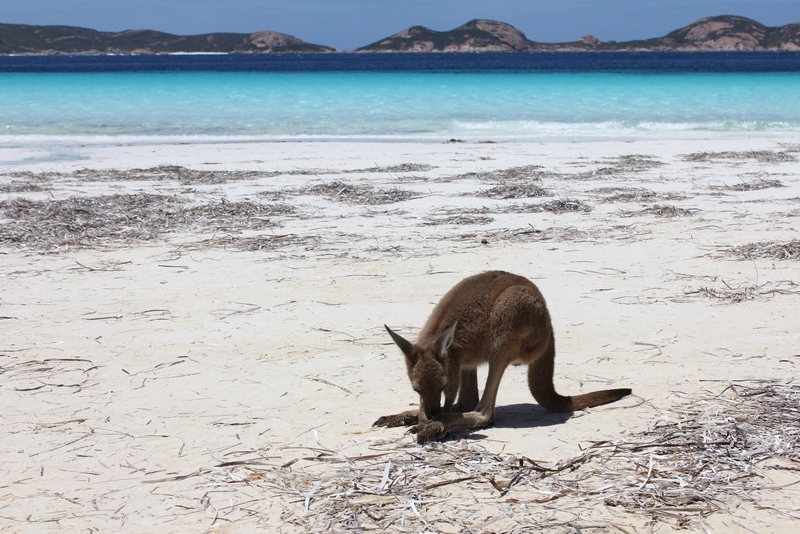 It is really common to see kangaroos hanging out at Lucky Bay in Cape Le Grand National Park, but for some reason they are never there when I’m there. In the car park maybe, but never on the sand. But not today! 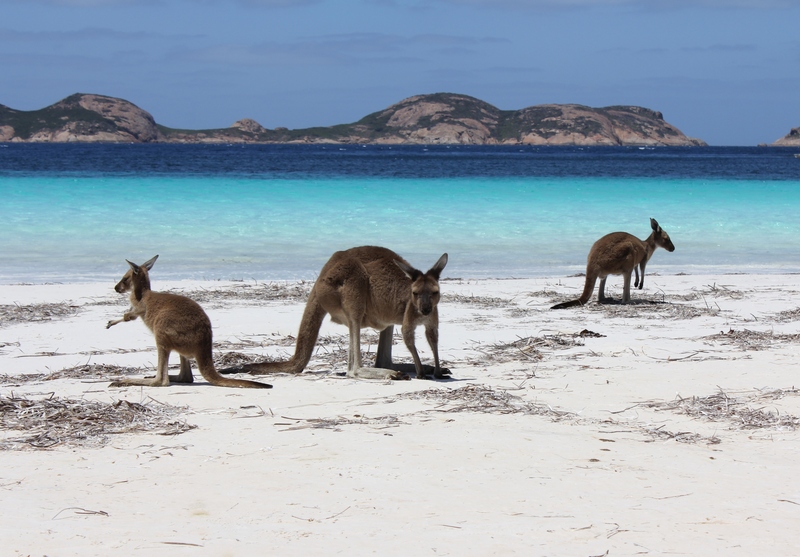 I was out at Cape Le Grand today doing some stories for work (hello best job ever) and low and behold, the roos were finally there. Three of them! Including a mother and joey. Adorable. Can finally say I’ve ‘done’ Esperance. Joey and his giant feet. 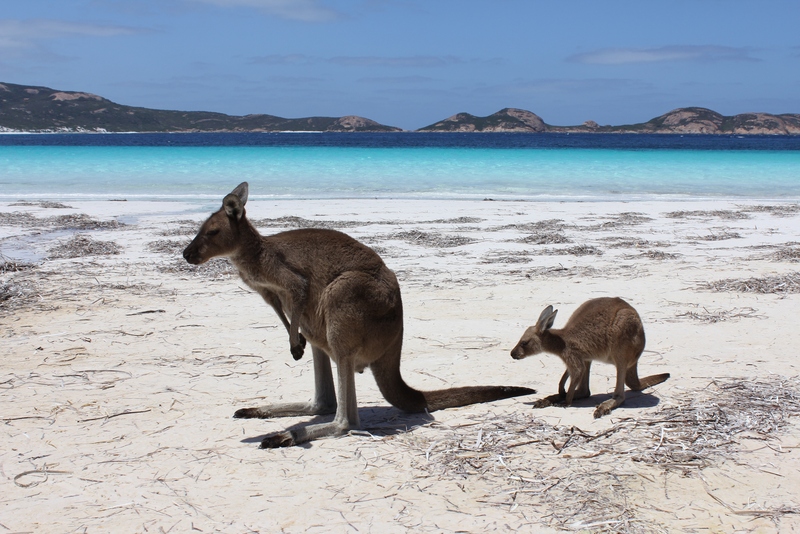 This entry was posted in Misc, Travel and tagged Cape Le Grand, Cape Le Grand National Park, Esperance, Kangaroos, Travel. Bookmark the permalink. These pictures are awesome! Where is this place?? 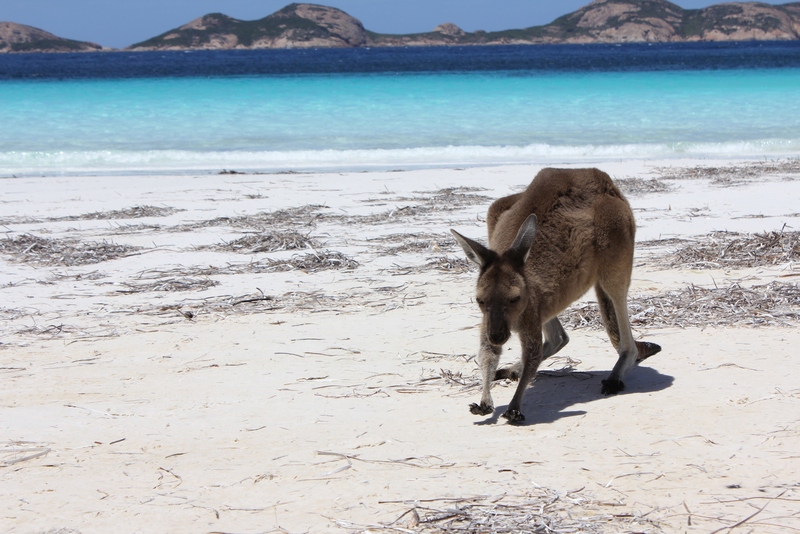 This just outside Esperance, which is on the south coast of Western Australia. So beautiful! I need to make it over that direction :). You should try to get here if you can! Amazing pictures – that beach is so beautiful! Thanks! Photos don’t even do it justice. Wow. What a really great moment! Thanks for sharing it with us! No worries Katie! It was pretty great.